Eight Irish athletes travelled to the 54th European Karate Championship in Guadalajara, the next pit stop on the way to qualification for the European Games in Minsk and ultimately the Tokyo Olympic Games. 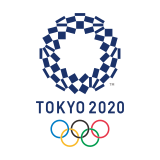 Attendance at the Championship is vital on the qualification road to Tokyo, which is a detailed and complex process. Points are gained at different levels from participation and per each round of the championship. 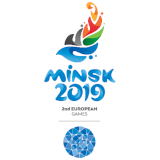 Points are also secured at a select number of international competitions, including regional games such as the European Games in Minsk, which also provide a direct qualification entry for the winner of each category. 8 athletes travelled to Guadalajara, Spain: 2 kata competitors and 6 kumite competitors from within which 1 female kumite team will also to compete. The event started with the eliminations rounds across all the categories on the 28th March 2019. First up for Ireland were Shane Dolphin and Una Flynn competing in Male and Female kata categories respectively. For the first time the new judging system was used at this level following change within the WKF rules of competition. Instead of two competitors going head to head in each round, groups of up to 12 competitors are now put together and judged by 7 international, WKF qualified judges on technical and athletic ability of their performance. Top scorers from each group move forward towards final. Today, Flynn did not score high enough to proceed through to the 2nd round but secured overall 29th placing, securing valuable experience and points on what is Flynn’s 2nd EKF championship. Dolphin returned to competing having taken a short break and missing out on the World Championship last November. This was Dolphin’s 5th European championship. Unfortunately his score today was not high enough to proceed through to the 2nd round. Kata eliminations were followed by kumite eliminations. Having returned to competing and making the squad for the World Championships in November, Ruairi Dougal attempted his first European Championship at the senior level. Dougal received a’ bye’ in the first round, facing Predrag Molovic from Montenegro in the 2nd round, narrowly loosing at 0:3 in male kumite +84kg. Following his debut at a Senior World Championship in November Sean O’Connor competed in Male Kumite -84kg against highly ranked Bjorn Kuluvuori from Finland, losing 0:4. Rory Kavanagh, currently the highest ranking Irish karate athlete on the qualification list for the Minsk Olympic Games had a great performance at the recent qualifying event in Salzburg going through to the 3rd round and narrowly missing out due to an injury. Kavanagh was unlucky today, losing out by disqualification to Mikula Dominik from Czech Republic. Kavanagh will be impatiently awaiting ranking score updates over the forthcoming days to ascertain whether he has pushed to the top 100 on the WKF ranking list which would entitle him to enter premier competitions with a higher point multiplier and a faster rise up the ranking towards Tokyo 2020. Mairí Kerin , having improved to the 98th place in the World rankings for female -55kg category following appearance in the World Championship in Madrid and the Premier League in Paris earlier this year appeared against highly ranked Amy Connell of Scotland. Kerin gave a strong performance but lost out 2:5 to Connell, who proceeded to semi-final of the Championships. Connell’s loss was misfortunate as had she proceeded to the final Kerin would have been provided with opportunity to enter repechage and fight for bronze. Kerin currently ranks 43rd on the qualifying list for Minsk and will be hoping that today’s performance added with her performance at the Salzburg Series A will improve her placing and chance of qualifying for Minsk and with it opportunity to qualify for Tokyo. Caradh O’Donovan, having switched from kickboxing barely 2 years ago entered her 2nd European championship ranking 47th on qualifying list for Minsk, and 86th for Tokyo before receiving points for her attendance at Salzburg Series A. O’Donovan today appeared against the last year silver medallist Anita Serogina from Ukraine. Despite solid performance Caradh had to withdraw due to an injury, which left her unable to participate in the female kumite team event. Shauna Mullaney, the youngest on the squad today has made a huge decision to change her weight category thus sacrificing her current ranking points but securing her own path towards Tokyo alongside her squad member Mairi Kerin. Reaching 9th in the World Cadet and Junior Championship in 2013 and 11th place in the World Cadet and Junior championship in 2017 Mullaney is not a novice on the international stage. Today, she stepped out against Shara Hubrich of Germany, bronze medallist at the recent Premier League in Paris. Mullaney held the 0:0 draw into the last minute of the match when she received serious injury and was singed off by the duty doctor. Female Kumite Team – Caradh O’Donovan, Mairí Kerin, and Shauna Mullaney – will not proceed due to injuries sustained by O’Donovan and Mullaney today. Over the next two years Irish athletes will have an opportunity to acquire ranking leading to selection for the elite few qualification places, in addition to which athletes will have an opportunity to qualify during the European Games in Minsk (June 2019) or the WKF Qualification Tournament (Paris, May 2020).